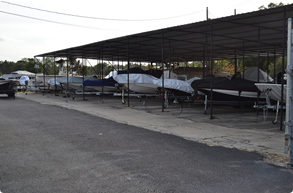 Since 1963 Sonny’s Marine has proudly been serving Central Florida boaters. Fast, Fair, and Friendly is our motto, and great customer service is something we have always prided ourselves on providing. We are a Five Star Yamaha Key Dealer. We provide sales/service for G3 Aluminum fishing boats, Suncatcher Pontoon Boats, and Yamaha Outboards. Our service department is backed by Yamaha Certified Technicians and a combined over 30 years of experience. Our entire staff is dedicated to making your boating experience a great one. For 50 years we have been Fast! Fair! and Friendly; and we do not plan on changing.